It has been a fantastic start to the Young Creatives programme since the launch event in September 2015. So far we have delivered two Design taster sessions at youth clubs in Kensington & Chelsea. The first session took place in December and focussed on digital graphic design. Designer Paul Jenkin and I devised a 2 hour graphic design session that incorporated various digital elements. It focussed on logo design and badge making and used the digital software tool Illustrator, a tool Paul often uses for his own work. We had a few technical challenges on the day so we had to improvise: Paul ran mini tutorials with each participant to help introduce some basic skills using Illustrator, whilst others continued design through hand illustration and collage before each making a series of badges. At the end of the session we had some really nice designs, both hand illustrated and digital! The second session was run by textile designer and fashion forecaster Eddie Niles at the Masbro Community Centre in January 2016. 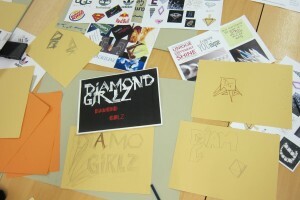 We ran a brand design workshop with an all-girls youth club who wanted to create a brand for themselves. The first part of the session focussed on the idea-generation phase and brief-setting. We encouraged them to think about what the club represents and what name they wanted to give their group. The participants used group mind-mapping exercises to develop their brand and make sure it had clear messaging. 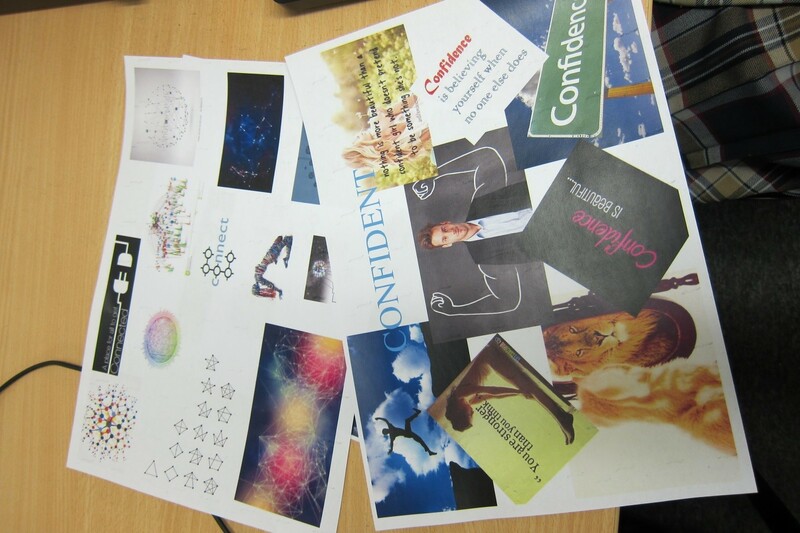 The bulk of the session was then spent using Photoshop to generate mood boards and we finished the activity with great ideas to take forward as part of the longer design project. The girls will have the opportunity to develop and refine their brand, and the project will culminate in the design of club t-shirts. “We got them to do a mind map on their initial thoughts then take key words through to the mood boards. We then moved onto looking at fonts and key elements that summed up their aspirations. The final stage will be to artwork their logo into a finished design,” Eddie Niles, Designer. We have just started our first design project with 15 young people who have signed-up to the Young Creatives programme. The project, called Designed in West London, will explore the meaning of design and enterprise over five weeks. In our next blog post we will share more of what the group has been up to with some insight directly from the young people. Stay tuned!